I missed last week, but couldn’t wait to share this Follow Friday post dedicated to Balance, Your Pilates & Yoga Studio. There are many so health benefits to the Yoga, Pilates, and Gyrotonic workouts provided at Balance, but there is also the physical benefit. These workouts strengthen and tone muscles, tighten your core, and provide you with greater flexibility and stamina. Every bride and groom (mothers, fathers, bridal party too) wants to look good on the wedding day. What I love about Balance is that the owner, Susan Smith Burns, and her team of dedicated instructors, provide a fun and supportive environment for all clients to reach their fitness goals. I have been going to Balance in Bethesda, MD since 2008 (when I first got engaged) to try out Pilates as a new exercise routine. I have been hooked ever since, and can honestly say that I never felt (or looked) more beautiful than on my Wedding day. I especially credit the Pilates Total Fitness classes for my toned arms and back! 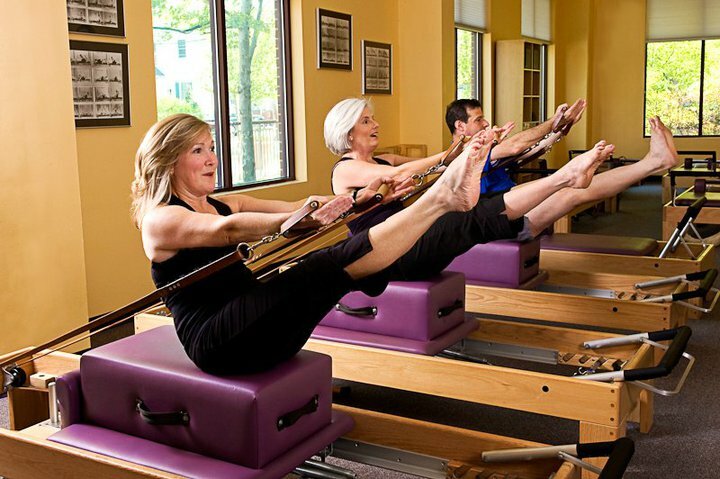 Susan opened Balance in 2001, when not as many people knew what Pilates was and how great a workout it is. She started in her small studio with “foreign-looking equipment,” and has grown to two locations in Montgomery County, Maryland: Rockville and downtown Bethesda. Susan and all of the knowledgeable instructors at Balance know exactly which exercises help women and men. Whether you want to tone your body, develop muscles or look fantastic in your white dress (and tux), the goal at balance is not only to provide a good workout for clients, but to help people perform their many and varied daily tasks with ““spontaneous zest and pleasure”. I was always active growing up, but didn’t consider myself an “athlete”. It wasn’t until college, when my friend mentioned rowing try-outs that I saw how regular practice was as beneficial to my mind as it was to my body. When I was selected to row at the head of the boat, I felt empowered. I was not just physically stronger, but also more confident as a young woman. That link has never left me. Pilates Total Fitness boot camp, starts Monday, October 15, 2012: This 5-day workshop is held regularly during the year and is perfect for Brides. The classes emphasize targeting different areas, such as arms, legs, backs, core, etc. Class is held Monday — Friday, 7am-8am. 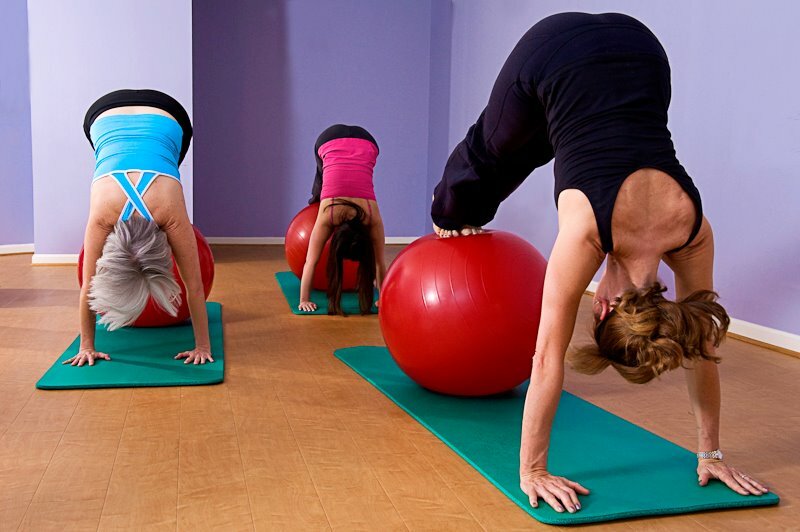 In addition to Bootcamps, Pilates Total Fitness classes are held regularly throughout the week-year round. It is a full-body workout that is great for women and men, and could be a good class to do with your fiance, and workout together for the wedding. This 10-class series is $100, with classes held on Tuesdays and Thursdays at 10:30am. This could be a great class for Mother’s of the Bride/Groom. My own mom who is in her 60’s has come to Pilates classes and really loves the results. What is great about the small class size, is that it allows the instructors to always work with clients sore spots. Saturday, October 20, 2012 – “Get Your Groove Back” Breast Cancer Community event. Everyone should attend, since it’s free and also a great way to learn about Pilates and support Sibley Hospital’s Sullivan Breast Center. Balance instructors will be giving demo classes in Pilates for Pink, Yoga Stretch, and Gyrokinesis for rehab. Also, representatives from a number of different organizations will be present to provide information on the physical, mental and aesthetic issues of breast cancer wellness. In addition, wigs and bras will be collected for donation (they will, of course, be cleaned and fixed up prior to being given for re-use). $60; Yoga is great way to reduce wedding stress while working out and gaining flexibility. Coming up…stay tuned for details!